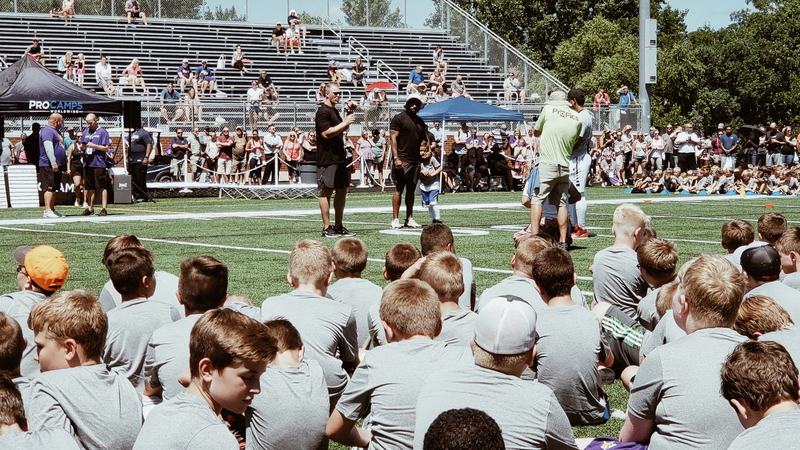 High energy, fun and excitement filled the air as Kyle Rudolph’s ProCamp kicked off on July 17, 2018! More than 1,000 kids converged on Providence Academy in Plymouth, Minnesota to participate in the camp. 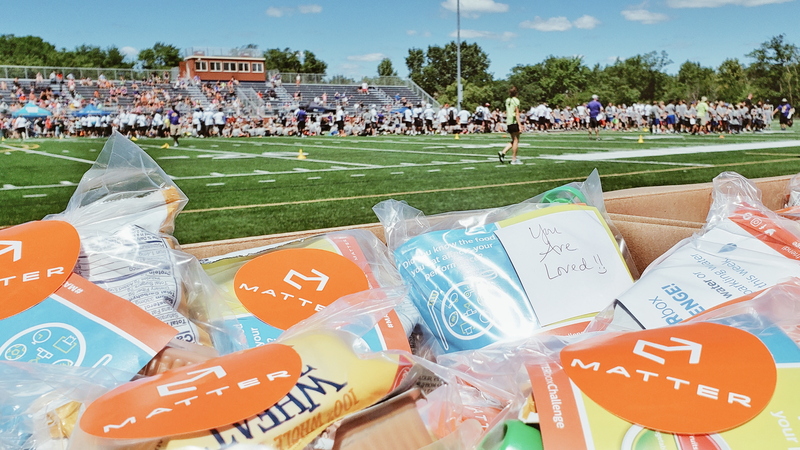 While the focus of the two days was football, including hands-on instruction, working on fundamental skills and participating in contests, MATTER came alongside Kyle to promote healthy eating through our MATTERbox Snack Packs. According to the American Heart Association, about one in three American kids is overweight or obese, nearly triple the rate in 1963. This causes a variety of health issues like high blood pressure, elevated cholesterol levels and diabetes. MATTERbox Snack Packs offer a nutritious boost of a delicious protein, a healthy carbohydrate, and a tasty fruit. Included with every snack pack is a fun, health challenge card that educates kids about good eating habits, along with a handwritten You MATTER note offering encouraging words. 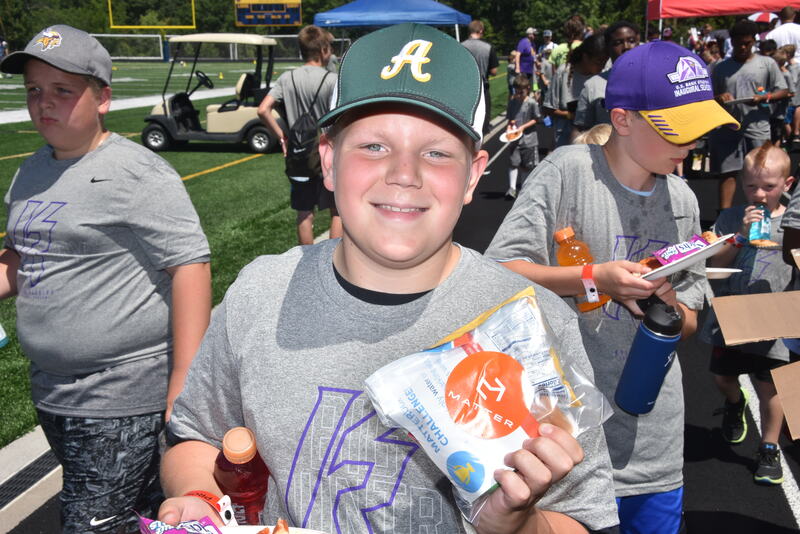 During the camp, Kyle told the kids just how important it is to fuel their bodies with the right foods so they can perform their best on the field and live a healthier life off the field. Each camp attendee received a MATTERbox Snack Pack both days of the camp. 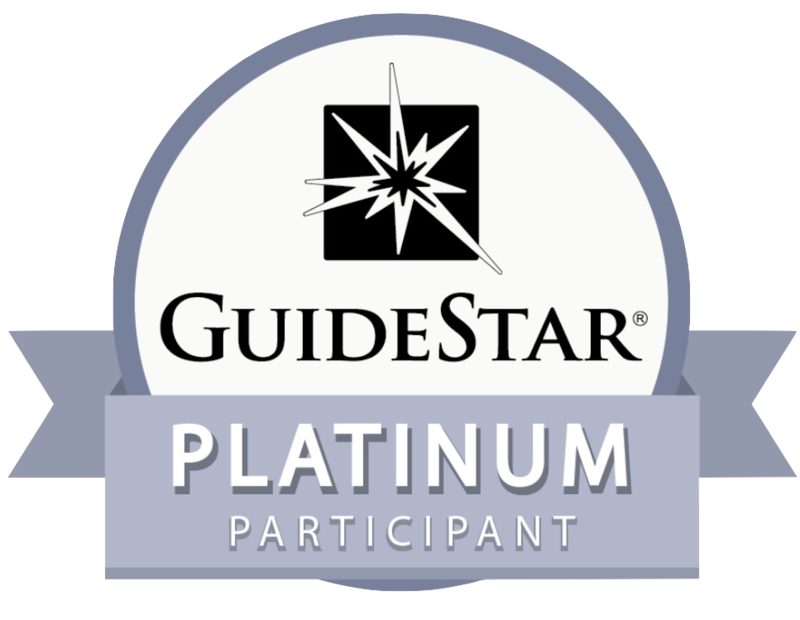 We know that when a kid gets an opportunity to eat healthier, this can lead them to reflect on their food choices. We are excited to join athletes like Kyle to help kids think about how the food they eat can make a difference in their lives. 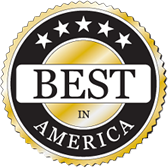 We invite you to come with us on this journey!